Nora Wanda Sandy, 77, passed away Saturday, April 1st, 2017. She was born June 11th, 1939. She was a member of the Mt. View Missionary Baptist Church of Cave City. She enjoyed doing yard work and working in her garden. She also enjoyed time spent with her family and her grandchildren and great-grandchildren. She was preceded in death by her parents Owen and Christina Lewallen; her husband Henry Sandy; two sisters Omega Lewallen and Billie Richardson; two daughters Vickie Sandy and Sandra Franks; one son Bud Sandy; one grandson Cody Vickery; and her daughter-in-law Teressia Brashers. 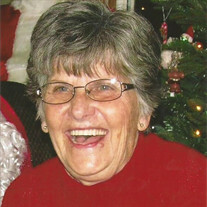 She is survived by her son Jerry Brashers and his wife Neva; four daughters Wanda Eckley and her husband Randy, Cecelia Brown and her husband Tim, Rita Pinkston, and Polly Burgerson; two brothers Robert Lewallen and Ronnie Lewallen; two sisters Colleen Wilmuth and Barbara Casey; several grandchildren; and several great-grandchildren; and a host of other relatives and dear friends. Visitation will be Tuesday, April 4th, from 6-8 PM and the funeral service will be Wednesday, April 5th at 2 PM both at the Willis Funeral Service Chapel. Burial will follow at the Bethel Cemetery of Pfeiffer.